The Fabulous Florida Keys -- An Island Paradise You Can Drive To! 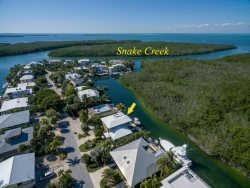 If you're looking for a quality vacation rental property in the Upper Florida Keys, look no further! 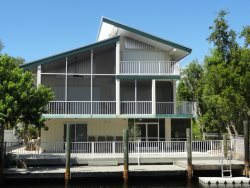 Keyswide Vacation Rentals has what you need to ensure a stress-free visit to the Florida Keys: a clean, comfortable rental home or condominium with all the amenities included. Our offices in Key Largo and Islamorada can help you find the perfect place to stay and play. If your vacation preference lies further to the south, please visit our Lower Keys vacation rentals website at http://www.schwartzvacations.com/. "Keyswide helped make my vacation truly relaxing and enjoyable, I would recommend a stay with them anytime!! 5 Stars!" "Hi Sue, I would like to take a moment to let you know we are very appreciative of this home, it shows that the owners have put a tre..."
"We're still talking about what a wonderful time we had in the Key's. I think I had asked you right after we returned, is this property ..."